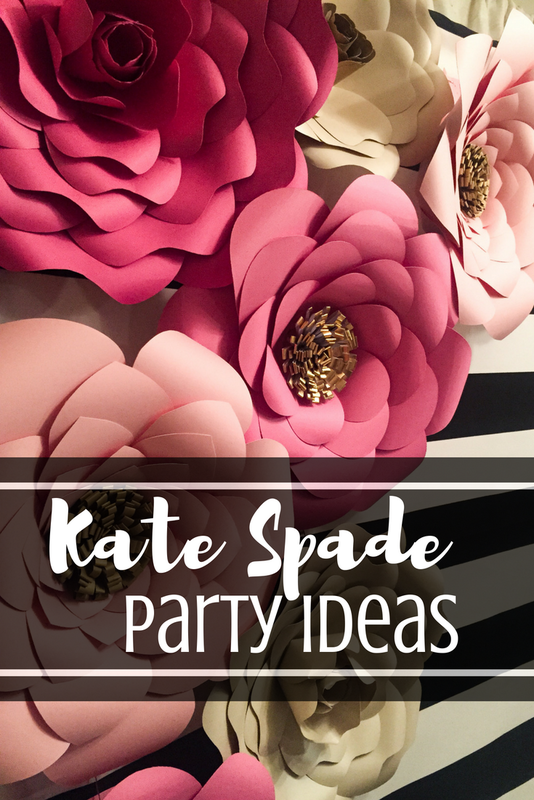 I have been looking forward to throwing this Kate Spade bridal shower for my baby sister for a while now. 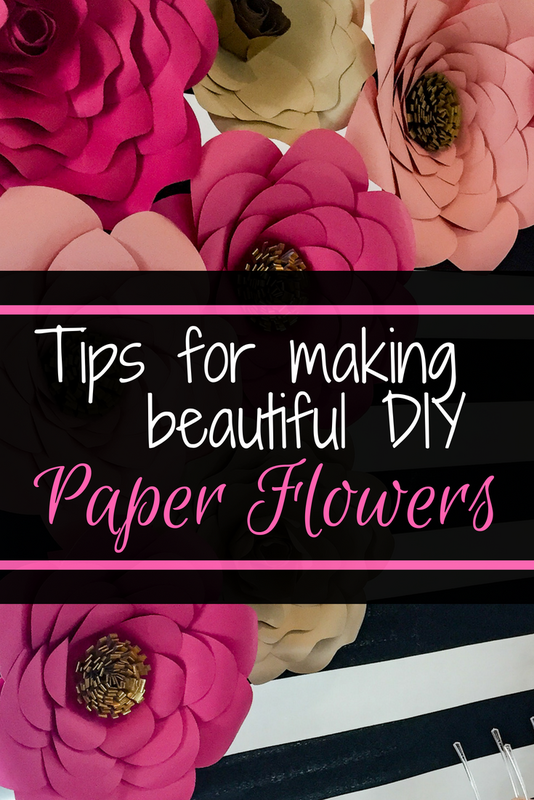 Although I was excited about the theme, I was also nervous because I had never made paper flowers before and I wasn’t sure how everything would turn out. Well they took ALOT longer than I thought they would when I committed to creating this look, but they ended up turning out beautifully (more about that in a minute). 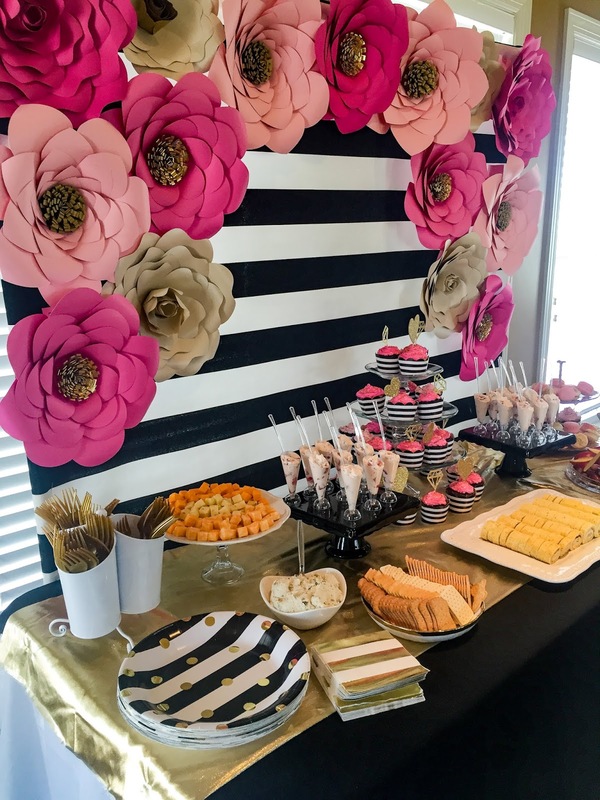 The color scheme was black and white stripes with pops of pinks and golds. These treats from La Rue French Macarons were beautiful and delicious! She is my go-to macaron girl and she never disappoints! 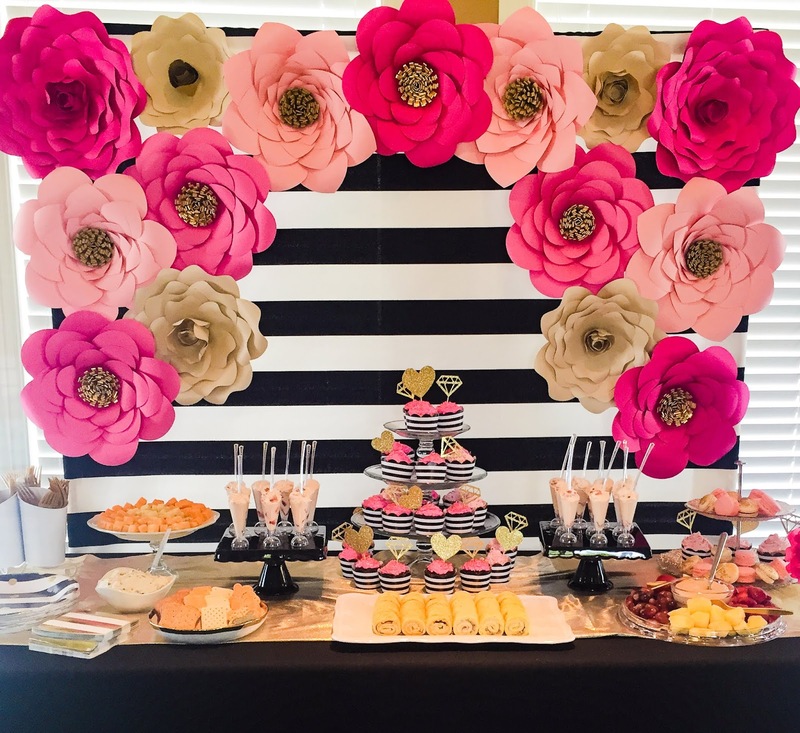 We had a great time showering the bride with love and gifts! Love you, Sis! 1. They are tedious little boogers. 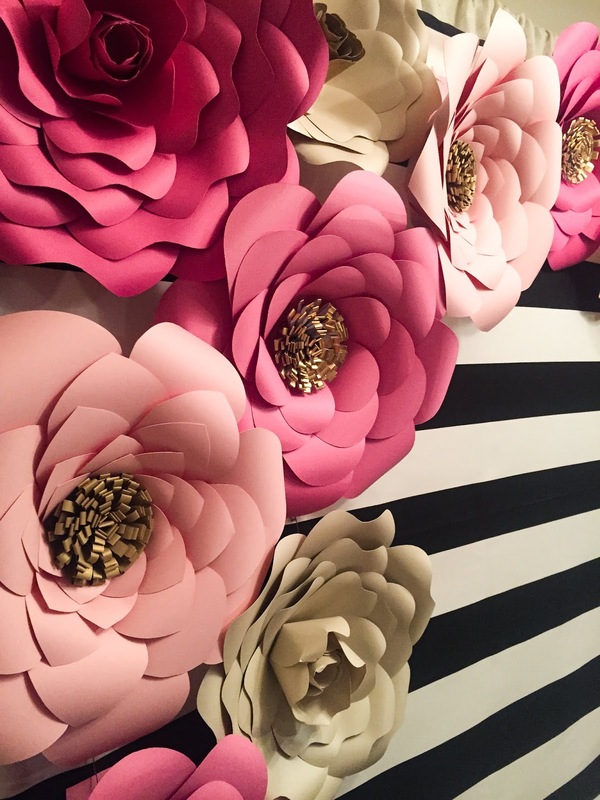 I made 15 flowers and added up that I cut 442 petals out of 173 pieces of cardstock and it took over 24 hours of labor. But I’m sure the more I do them the faster I’ll get. They took a lot of late nights but it was definitely worth it! 2. 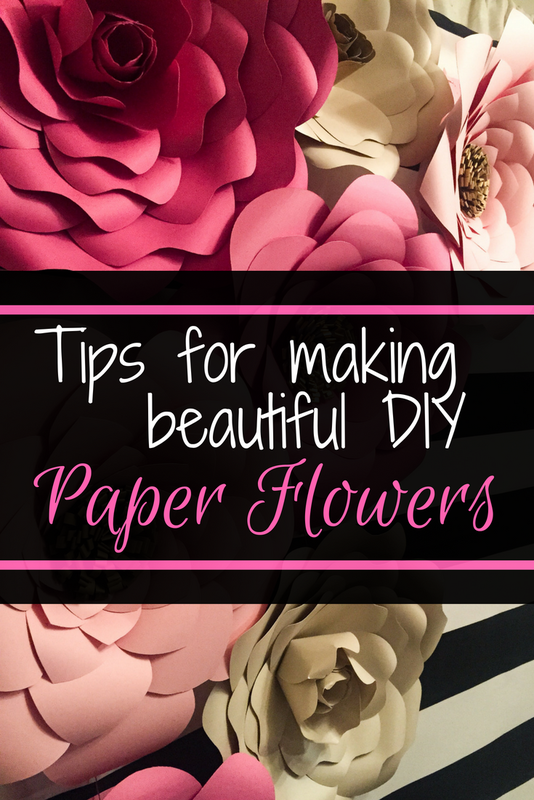 Use 65 lb cardstock. I knew that this is what was recommended but when I went to Michaels to buy paper they had a deal on some large packs of cardstock and I didn’t pay attention to the weight. I ended up buying 110 lb. instead. While it worked out fine, it was more difficult to cut with my machine, and the petals didn’t roll out as easily on the ends. If you were to look at them up close you’d see small creases because the paper was too thick to curl. 3. Cut with a Silhouette or Cricut if you have one. I thought it would be a pain to take that many pieces of paper off and on the cutting mat but it is soooo much easier than tracing and hand cutting. 4. Use the double cut feature if the paper is too thick and the machine is not cutting smoothly. I am a little embarrassed of how long it took me to find this feature. 6. I would recommend if you are serious about making these, or plan to make several of them, to order a template. 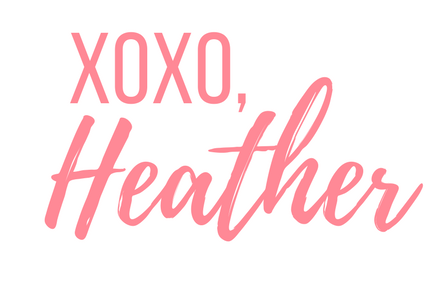 They are relatively inexpensive, come with several different files (pdf, svg, png) AND tutorial videos, which I definitely took advantage of. I ordered mine from Catching ColorFlies on Etsy. I learned a ton this time around and I’m excited to try different styles next time! 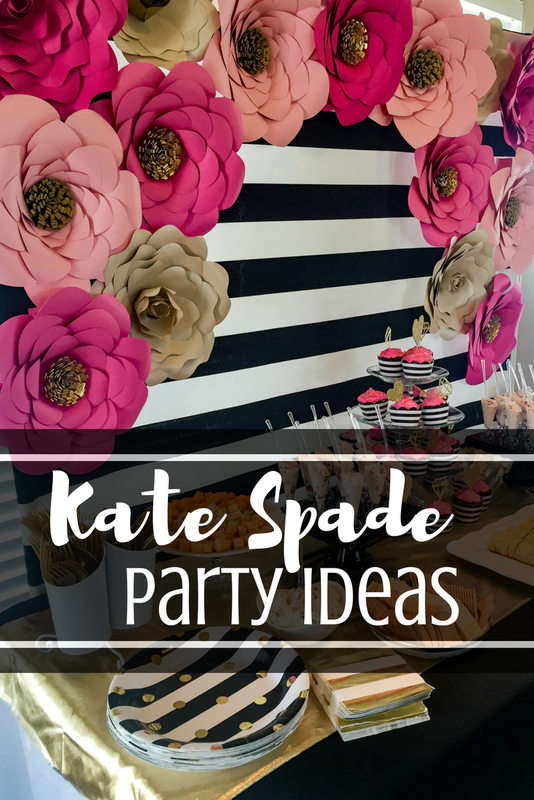 To see more parties, head to my party planning page! What template did you order from catching colorflies they have so many options its hard to choose? Hi what are those favors I can”t quite make them out? 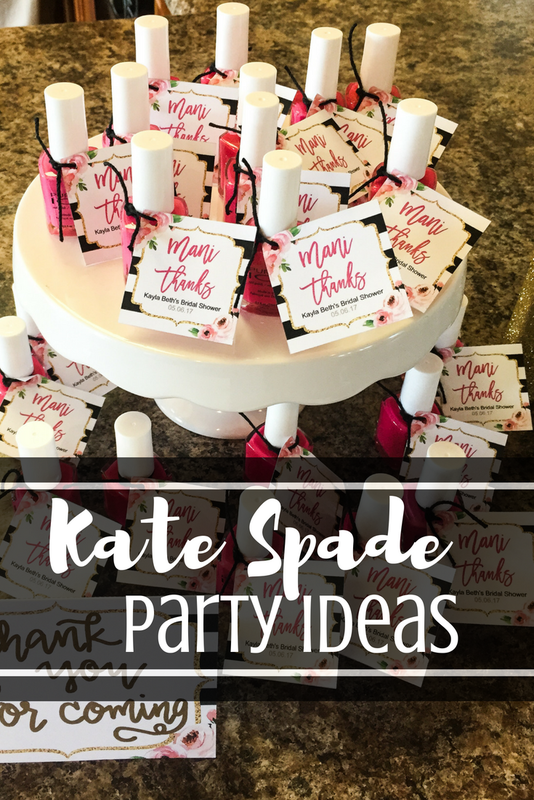 The favors are little bottles of nail polish!